The first VMUG meeting of 2013 kicks off in London on Thursday 24th from 8-30 to 17:00 and the agenda looks well and truely packed to the brim of some cool topics and presentations, if you havent attended this event before then its a great time to start and check out the buzz of this great community. How to convert existing RDMs to VMDKs without downtime. One of the requested operations I seem to be getting a lot these days is how to migrate existing RDMs to VMDKs, this has been especially more popular since Veritas Cluster Server now supports VMDKs . In this two part article I shall take a look on how to achieve this, the first part highlighting how to convert RDMs to VMDKs on a standalone virtual machine with minimal downtime and no data loss using Storage Foundation. The second part will take a look at what steps are needed when Veritas Cluster Server is in the mix. In Fig 1 a virtual machine would typically have RDMs attached to them these would be in either virtual or physical mode. 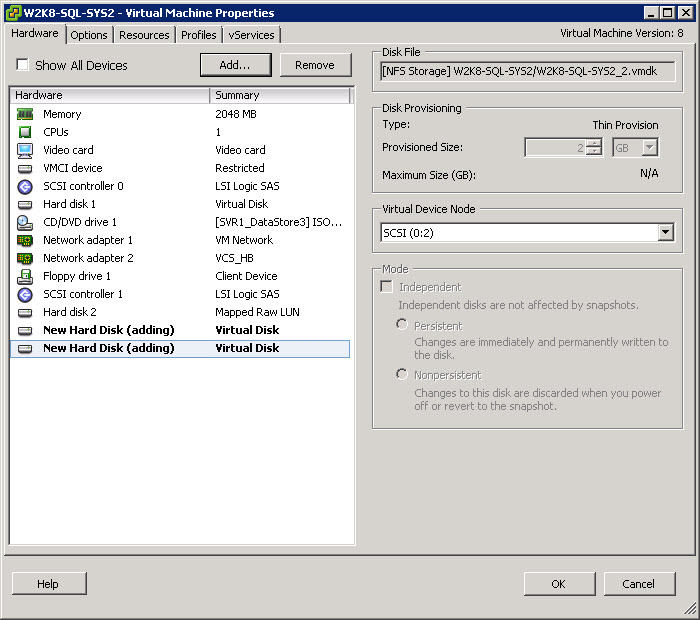 From within the virtual machine the RDM would be seen as a disk and within the disk there would typically be a number of volumes that would contain the data for the application, the example show is for SQL 2008. A number of mount points had been created within a drive letter for the SQL instance and it is these volumes that will be live migrated to the new VMDKs. 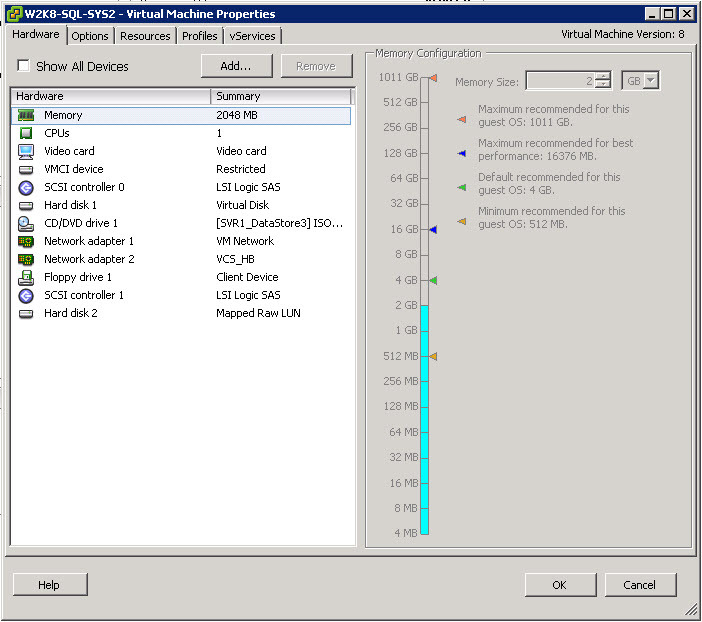 On the virtual machine add new VMDKs that will be used for the new placement of the application data. Inside the virtual machine notice that the new disks will be seen, perform a rescan or the SCSI bus if required. Once Disk Signatures have been written with the Veritas Enterprise Administration UI the new disks can be added to the Dynamic Disk group which currently holds the volumes for the SQL application, “PROD” in this case. Once the new disks are added to the diskgroup then data can be started to live migrate from the RDM disk to the new VMDK disks. This Subdisk move process will leverage a feature of Storage Foundation called SmartMove, this will assist in copying over only the writen blocks on the RDM to the new disks instead of all blocks from the volumes which a traditional block copy method whould use, this SmartMove process will reduce the data migration process especially if the writen blocks are much less then the overall disk size that’s being moved. The process of moving subdisks with the Veritas Enterprise Administrator is possible to use a drag and drop method for the sub disks from one disk to another but with multiple operations and also for accuracy it’s much easier to do this via CLI and create a script to do this. Finding the subdisks that need moving from the CLI can be achieved by using the command vxprint as highlighted below. The subdisks that need moving are subdisks Disk3-01 to Disk3-06, these will be moved to the new disks, the move operation is carried out with the command vxsd –g(DiskGroup) mv –b Disk03-01 Harddisk1, or vxsd -gPROD mv -b Disk3-01 Harddisk1 in the example shown below. Fig 7 –Movement complete for the first subdisk using SmartMove. Notice the –b in the command will carry out the command in the background so that multiple moves can be carried out in one go. Fig 8 – Subdisk volumes being migrated with SmartMove. Now that the volumes have been migrated the RDM can be safely removed from the VM, this can be carried out without powering down the VMs too using the hotplug features of vSphere. That’s all the steps needed to move the data from the RDM disks to VMDKs, in the next part of this article we shall take a look at the steps needed when Veritas Cluster Server is in the mix. 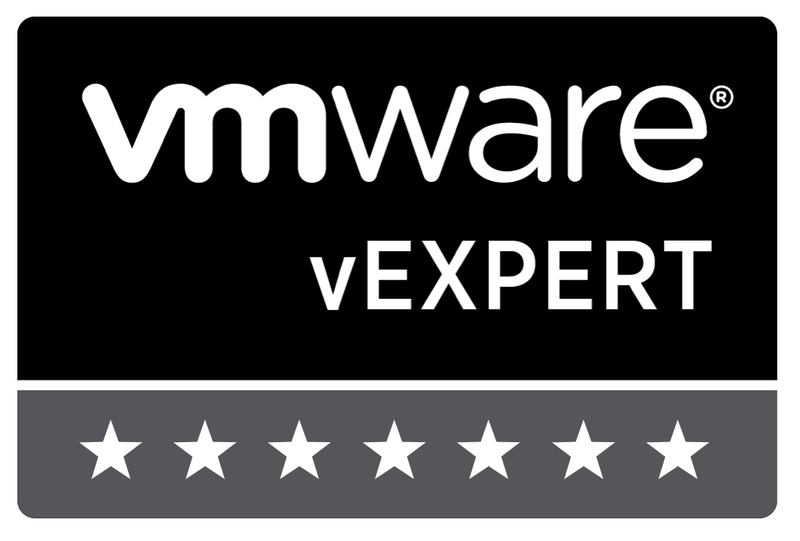 Author virtuallylgPosted on January 7, 2013 January 8, 2013 Categories VMware2 Comments on How to convert existing RDMs to VMDKs without downtime.